I’m not sure if obsessed head-over-heels in love quite covers my adoration for all things bohemian, but I couldn’t be more in LOVE. 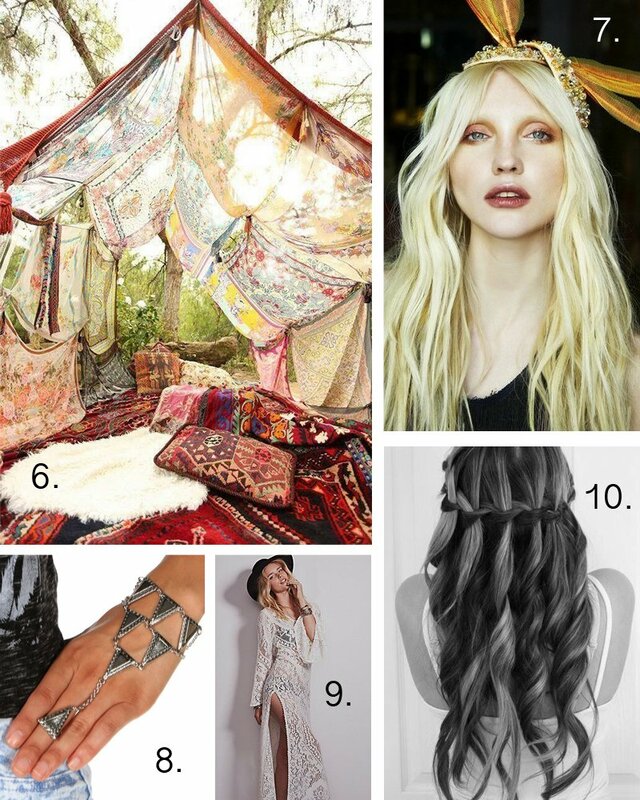 From the fashion to the lifestyle of the boho/gypsy woman, I relate so much. The restless spirit with a deep need to travel and explore. The self expression and connection to nature…and the fashion. So, to all you lovers of bohemian, I put together a board of some of the best and unique Boho Wedding Inspiration. And, honestly to put it out there in the world, my dream wedding to photograph. 2. Trailing Jade Dress by Free People – that back couldn’t be more unique wow! 3. Who wouldn’t love this gorgeous boho bouquet? 4. This henna design I found on Pinteres.comt is so so gooooood. 5. Sadie Deluxe always finds the most unique vintage pieces, like this 1960s wedding dress. 6. This tent of scarves might be the coolest boho wedding reception idea I’ve seen. 8. This hand chain would look amazing wedding day or everyday as far as I’m concerned. 10. ERMAHGAWD, this hair style found on Pinterest, daaamnnn. 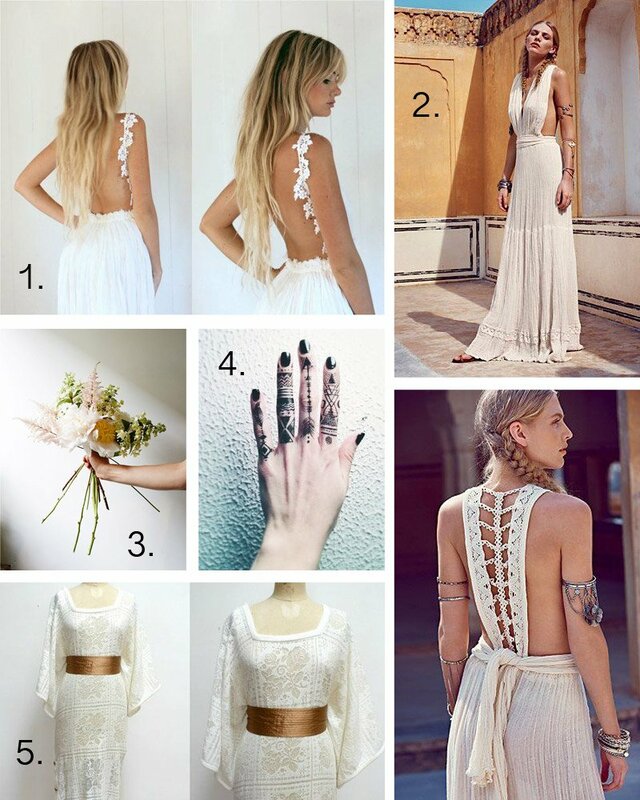 *All these lovely finds are on my Pinterest, Boho Wedding board – here.